Why Don’t Businesses Understand Their Energy Bills? Recent research has highlighted that an alarming number of employees and business owners struggle to understand their energy bills. Between hidden charges and difficulties making direct comparisons between suppliers, it’s not always easy to work out if you’re overpaying for energy. To help, here is a breakdown of what you should expect to find on your energy bill, and a breakdown of the costs that are included. What information will your bill include? These details will remain the same throughout the term of your contract, and allow suppliers to quickly obtain your account information. Your bill will include an account number and an MPAN/MPRN number which will help identify your premises and your meter. In addition, your bill will include your businesses registered VAT number, which is also unique to your account. If you call your supplier to enquire about a specific payment period, they will use this information to quickly find the bill in question. 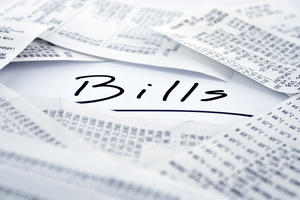 The date the bill was sent on, a sequential bill number and the period for which you are paying for your energy use should all be provided on your bill. This will detail the type of tariff you are on. Some examples include a ‘blend and extend contract', or a ‘green energy contract’. For businesses you can expect to deal in contracts, not tariffs. The contract type that will be best for your business depends on your energy use. Also, detailed here will be the renewal date for your contract. If you do not explicitly express a desire to switch to a new supplier before the end of your term, your contract could be automatically renewed (either 30-day rolling or a full year), often with more expensive prices. So, it’s important to remember when your contract is up. Your bill will include the total amount payable for the current period. This is made up of outstanding payments from previous bills, your current period’s payments, further charges incurred and your VAT charges. Alongside the breakdown of charges for the current billing period it should contain either a capital ‘E’ or an ‘A’ next to your kWh unit use. These stand for ‘estimated’ and ‘actual’ usage respectively. If you see an ‘E’ next to your usage figure, you should send your provider actual readings as soon as possible to avoid over paying. What costs go into making up your bill? As well as paying for the energy or gas your business uses, there are a number of other charges incurred. Some of these are detailed on your bill, some may be hidden or accounted for in the standing rates or unit price that you agree with your supplier. Even if you do not use any energy in a given period, you will still need to pay a standing charge to your supplier. This covers the cost of grid maintenance and supplying energy to your premises. If your business regularly uses no energy over the course of a month, then it may be worth considering a contract that foregoes this standing charge, in favour of higher unit rates. Whether this option will work best for your business will depend on the amount of gas or electricity you use. This is the amount you have agreed to pay for each kWh of power you use. The rate varies depending on your contract. If your business is not particularly energy intensive, it may be worth considering a ‘no standing charge’ tariff. Although unit rates are generally higher with these, not paying a standing charge could lead to cheaper bills. Generally, businesses will pay 20% VAT on their fuel bills. However, this can be reduced if your business uses less than 33kwh of electricity, and 145 kWh of gas. Find out how to apply for lower VAT rates. This is a charge imposed by the government on any non-renewable energy that your business uses. Not all businesses are required to pay this. For example, if you use renewable energy, or if your daily usage falls below 33 kWh of electricity, and 145 kWh for gas, then you may be exempt. What is the best way to pay for your energy? This will depend on how much your bills fluctuate from month to month. If you know your usage will be the same each month, direct debits will remove the hassle of paying by cheque or online. And, in most cases this will also entitle you to a discount from your supplier. It’s worth noting that when setting up your Direct Debit, your supplier will try to average out your payments to cover your annual usage. This means you may be paying for more energy than you’ve used in the summer months, and less energy than you’ve sued in the winter months. If you feel your usage is likely to fluctuate, however, a direct debit will not take into account the difference in amounts payable. In this case paying online, by cheque, or using the giro slip included in your bill in the post office, will allow you to account for the irregular payments.